Turning the heartache of losing a child into a global movement to save babies. It's Mother's Day weekend, but today we celebrate you and the life-changing work you are doing from heaven. Because of you, moms all over the world are being saved from deep heartache and the unexpected loss of their own babies. When we lost you more than a decade ago, we mourned the fact that we would never get to know you. But these past few weeks have given us a glimpse of your personalities. You're endlessly generous. You're smart, fierce and strong. Here's how we know this to be true. Last week, more than 1,100 people showed up in the middle of their busy, beautiful day to raise money for Count the Kicks -- the public awareness campaign we created in your memory that educates expectant parents on the importance of tracking fetal movement in the third trimester. Those people left and told the world about what they learned. The message reached all the way to a nurse in Uganda who wants to bring Count the Kicks to his hospital. Uganda. That's 8,004 miles and an ocean away. That's all because of you, sweet girls. An entire hospital system in Atlanta, Georgia now wants Count the Kicks materials to give to their precious Mama-to-be patients. Since we started telling expectant moms here in Iowa to Count the Kicks in 2009, our state's fetal death rate has dropped 26 percent. Twenty six percent! It's a powerful number. Now listen to the stories. Everything was going beautifully with my pregnancy until one fateful afternoon, when I noticed a lack of movement in my belly. I drank juice, laid on my side and waited... and waited... and waited until panic set in. he doctor on call told me to head to the hospital for monitoring. There, we found a limp baby. After a second ultrasound and an unimpressive fetal heart rate, I was thrown into a wheelchair and put to sleep to get the little one out as quickly as possible. I awoke to the face of my OB/GYN saying, "Thank you. You saved your baby's life!" I was told that our little Cooper would not have made it through the day had I not been counting the kicks and paying attention to his movement. At 37 weeks, I started to notice a very slight reduction in movements. From everything I remembered reading, I thought that was normal as he was running out of room to move, but I called my doctor just to be sure. Tests showed that Ryan needed to be delivered. Ryan was born healthy that afternoon, despite a true knot in his umbilical cord. Because of your brochure, we took the time to get to know our unborn baby and his kicks. It TRULY saved our Ryan's life. All those words are like one beautiful love note from you. This Mother's Day, we want you to know your heavenly work on earth isn't done. When I arrived home, my husband met me to tell me a friend had just sent a text that said they couldn't find a heartbeat at an ultrasound today. I am heartbroken for her. She was in the second trimester and pregnant with their first. I knew that you would be able to help guide me in a direction of some possible websites, or something that I could pass on to her. I am sorry to email with this type of question, especially after the inspiring luncheon that I just experienced. But I would like to help if even in the littlest bit. Thank you for all you are doing to save babies everywhere. These emails make us so sad and we grieve for every family that loses their precious little one. They also keep us moving. Since last Mother's Day, five thousand women have downloaded the Count the Kicks! app we created. It's an easy way mamas are tracking each time their baby kicks, rolls or pokes. They're using free technology to monitor their baby's health while creating a bond with their little one. This Mother's Day, we don't ask for flowers or perfume or breakfast in bed. We ask for more downloads. This Mother's Day, we don't need chocolate, a clean house or a pedicure. We ask that the nurse in Uganda keeps spreading your message. And then it reaches every corner of the earth until every Mama knows. This Mother's Day, we don't need a darn thing. We just need more babies in their mamas' arms. With you watching from above, we know we will get there. That's why, today, we celebrate you. Five Iowa women who experienced the devastating loss of their baby girls are turning their heartache into a global movement to save babies. Janet Petersen, Kerry Biondi-Morlan, Jan Caruthers, Tiffan Yamen and Kate Safris all lost daughters within months of each other due to pregnancy complications or stillbirth. Through a series of conversations with doctors and each other, they realized one thing that could help save others from such heartbreak: Counting kicks. Scientific studies indicate kick counting, a daily record of a baby's movements (kicks, rolls, punches, jabs) during the third trimester, is an easy, free and reliable way to monitor a baby's well-being in addition to regular prenatal visits. 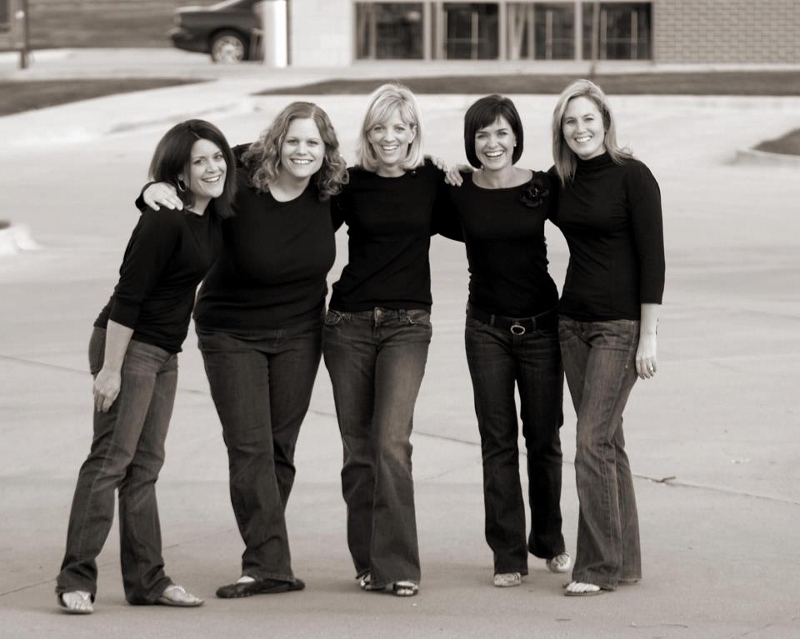 In 2009, the Iowa moms founded their 501(c)3 organization, Healthy Birth Day, and launched Count The Kicks as a public awareness campaign dedicated to saving babies. The goal of Count the Kicks is to improve the chances of delivering a healthy baby and prevent unexpected birth complications and even late-term stillbirth. They've created a network of supportive hospitals, doctors and advocates who are spreading their message, have ambassadors in twelve states, and helped get Iowa's Stillbirth Registry law enacted. To learn more about the Count the Kicks campaign, visit www.countthekicks.org.